Do whatever you want one swipe, Slide out the "Lazy Swipe" from your screen's left or right bottom corner in any situation. 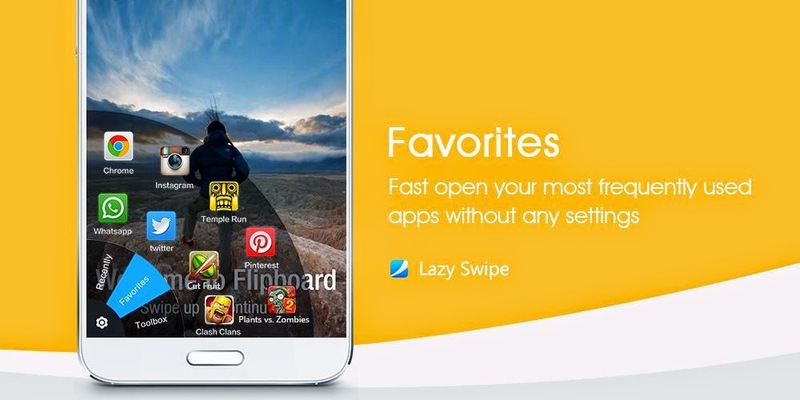 Lazy swipe is a free app available in google play store. 1. Find and open your most frequently used applications without any settings. 2. Find and open your newly installed or recently used application, no longer need to scrolling in your many application list.